Everyone’s familiar with the Marvel Cinematic Universe; but not everyone is familiar with the comics from which these films are based. Each film is full of Easter Eggs and cameos by characters that have existed in the comics for decades. This summer marks the release of Avengers: Age Of Ultron – the sequel to the highest grossing Superheo film ever, The Avengers – but the Avengers history can actually be traced back over 50 years. How could anyone not familiar with the comics ever catch up with all that history? Well that is exactly what the new Avengers Vault by Peter A David aims to do. As someone who has written The Incredible Hulk for 12 years while also assisting on countless other comic titles, David knows a thing or two about this sort of stuff. For fans of the comics or films, this book perfectly condenses 50+ years of Avengers history – and holds a few surprises of its own. The book is divided into six incredible sections, each of which finds the perfect balance between conveying a lot of information and yet not making it too overwhelming. For example, the four middle sections not only detail the four main Avengers – Captain America, Thor, Ironman and Hulk – but also dive into some of their associated villains and famous story arcs. Some of this might seem repetitive for Ironman – who’s holds the most films in the MCU at the moment – but these pages are very helpful for those wondering where the next Captain America and Thor films could go. This is especially true of The Incredible Hulk section – a character who has yet to be portrayed that much in the MCU. Sure you could look this all up on Google; but with so many decades of comics, it’s nice to have a concentrated version to convey which stories and characters are most important. 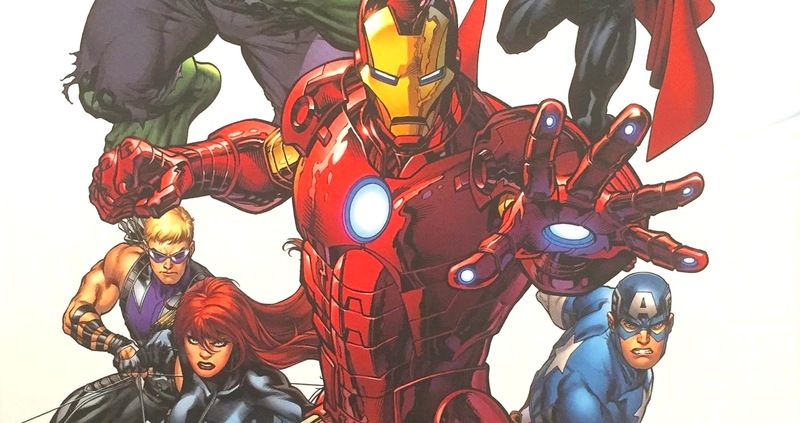 As if all the condensed storylines and character bios weren’t enough, each page has tons of photos and panels from some of the most famous comics in Avengers history. Though the best surprise of the book has to be the interspersed ‘enclosed files’. Each of these pages includes inserted art, promotional images and even original comic panels from the various times. Seeing a photo is one thing; but actually having these old images in your hands is something really special that any collector would enjoy. 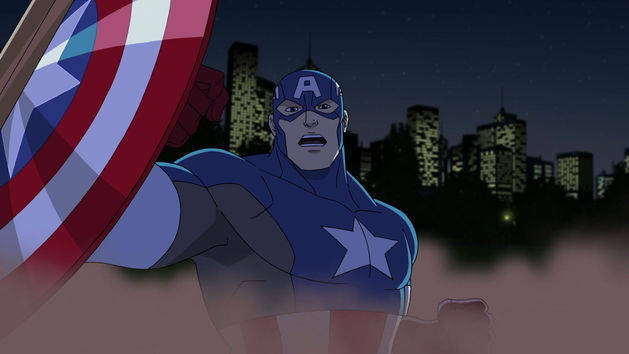 The history of the Avengers on TV is even explored! On one hand, I wish this book had a larger index in the back so you kind look up specific characters, storylines, etc; but then I remember that isn’t what this book is about. This isn’t an encyclopedia on the Marvel Universe or a historical index of each of the Marvel Universes – which are being merged into one in the coming months. This is about the Avengers and how their core four members have contributed and been detrimental to the team at each turn. 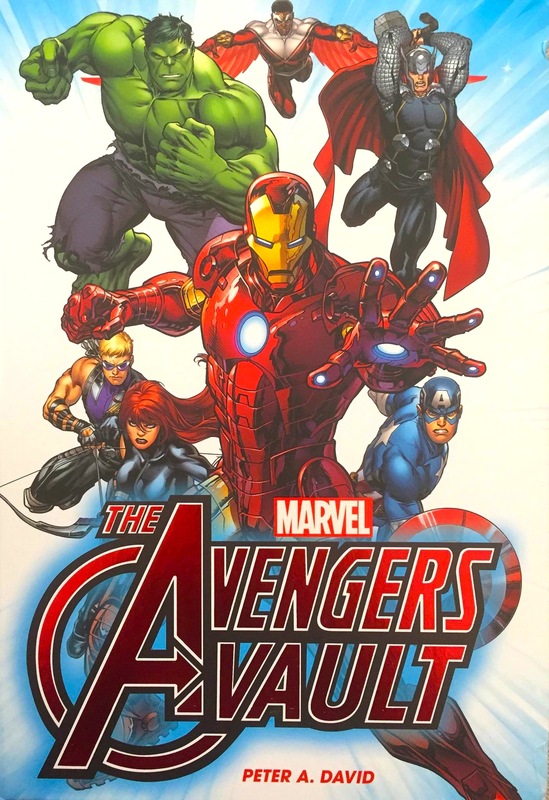 Whether you’re relatively new to the Avengers franchise or were with them since their first comic in 1963, The Avengers Vault has something for everyone. Relive the glory days or help catch your kids up on 50 years of history. Either way, I’m personally glad this book is part of my collection – and I think you will be too. You can pick up a copy from Amazon, Barnes & Noble, Target or your preferred bookstore.